A shortfall of railcars and crews has left shipments of grain and oil marooned on the Canadian Prairies — with reports that thousands of orders for cars have been cancelled by Canadian National Railway Co.
A shortfall of railcars and crews has left shipments of grain and oil marooned on the Canadian Prairies. "Canada's major railways have been struggling to keep up and the harsh winter weather hasn't helped," said Lynn Jacobson of the Alberta Federation of Agriculture. There have been reports that thousands of orders for cars have been cancelled by Canadian National Railway Co. and Canadian Pacific Railway Ltd.
Bill C-49, the Transportation Modernization Act, is now in the hands of the Senate. 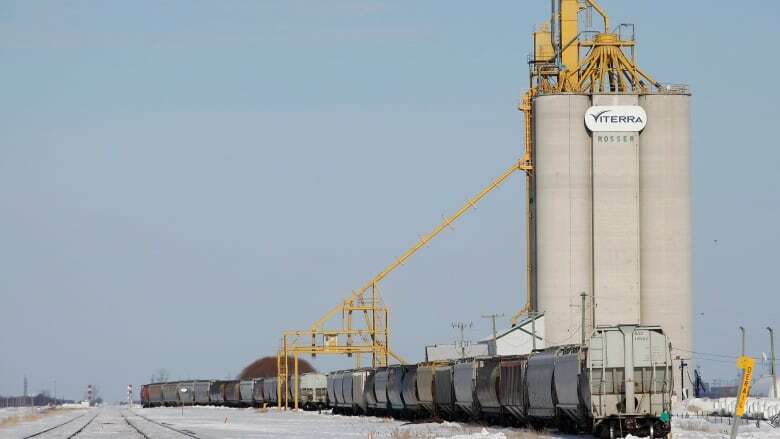 Farmers are eagerly awaiting the legislation, which would impose reciprocal penalties on railways that leave them waiting months for their grain to be shipped to elevators. "Grain is dependent on rail transportation for movement, it's always been the case that railways know ... they're gonna lose that commodity unless they ship it within a certain time period," said Jacobson. Jacobson said those in the grain transportation industry have known for years that railways will prioritize other businesses before grain, because grain producers have no other options than rail, which leaves farmers little recourse. "If it comes to the choice between losing that business or the grain, they'll choose that other business first." The squeeze has also impacted crude oil shipments, and the glut of oil waiting to be moved has forced prices down. "Canadian producers, whether it's grain, or beef, or cattle, or oil, or natural gas, can't move to market. We are an export nation, we need the means to export it," said Jeff Gaulin of the Canadian Association of Petroleum Producers. Alberta farmer Warren Sekulic said the waits can be devastating for his bottom line. "You're up against a deadline with your inputs and your costs — your lines of credit and due-dates like that, so you're required to get cash flow to pay those bills, and if you can't deliver, you don't get paid and you can't pay your bills," he said. A CP representative said the railway continues to push to get commodities delivered, despite adverse weather conditions. 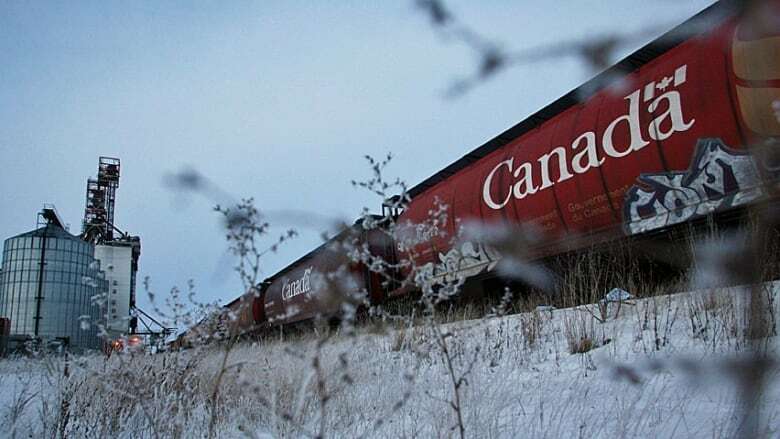 "CP's grain network remains fluid and crop-year-to-date we have moved four per cent more grain than this time last year," said Jeremy Berry of Canadian Pacific Railway media relations. "Railroading is an outdoor sport and while we are dealing with some extreme weather currently, we continue to deliver for our customers and the supply chain." Several Alberta farmers and agricultural stakeholders are testifying in favour of the bill at hearings this week in Ottawa.